We have openings for Drayage, Van and Flatbed agents in most metro areas. 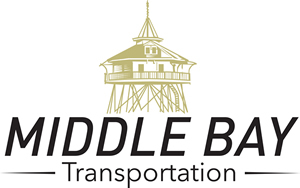 Whether you are an experienced agent or have the experience, contacts and desire to become an agent, Middle Bay Transportation could be the right place for you. We have the knowhow, tools and ability to improve your success. As part of the Container Port Group, a market leader with a presence in 20+ major transportation and distribution centers, Middle Bay is poised to provide the expertise and assistance to help make your business grow. “Partnerships and Teamwork” is not just a catchy phrase, it is our mission. We not only partner with our agents, we become an integral part of their team with the goal of improving efficiencies and profits. Middle Bay is driver oriented and most drivers know it. This fact makes recruiting productive and a growth dynamic for your business. We will help you advertise for drivers by various means and through a variety of media. Qualified drivers can be running within 72 hours from the time they complete the application. As you increase your fleet, Middle Bay can assist you with your sales and advertising efforts. We have close relationships with many Ocean Carriers, Manufacturers, Importers, Exporters, 3PLs, Forwarders and Brokers. Our sales assistance will help you improve the freight volumes you need to help and sustain growth. Middle Bay provides agents with superior technology. We utilize some of the best information, dispatch and safety systems in use today. Easy to use, labor saving and productive systems help you manage your business and reduce costly errors. Mobile dispatch applications enhance communication with drivers, enabling you to provide up to the minute information to your customers. Mobile digital imaging reduces document scanning efforts by 90%. Our systems are EDI capable which increases the number of customers you can service. Systems training is done on site by Middle Bay as well as online with software developers. You can spend your time managing and improving your business, instead of manipulating data and documents. We are currently seeking agents in most major cities.